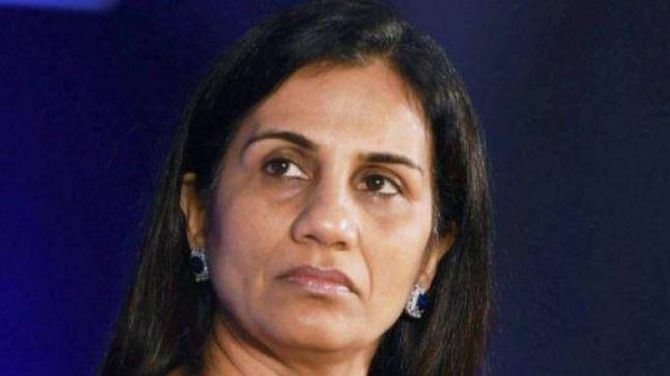 ICICI Bank’s MD & CEO Chanda Kochhar has offered herself for reappointment as director on the board of the bank's broking subsidiary, ICICI Securities. Kochhar is currently on leave. She is facing an investigation by the bank regarding allegations of conflict of interest. She is also being investigated by multiple regulatory agencies. Kochhar retires by rotation, and being eligible, has offered herself for reappointment as director, said the broking arm in a notice for its Annual General Meeting to be held on August 30. An ordinary resolution would need to be passed for her reappointment. Kochhar is also a director for the bank’s other subsidiaries - ICICI Lombard General Insurance, ICICI Prudential Life Insurance Company and ICICI Prudential Asset Management Company. "The investigation against Kochhar hasn't been completed. So, there is no reason why she can't offer herself for reappointment," said Shriram Subramanian, founder and MD of InGovern Research Services. In May, the bank said that allegations against her could affect the the bank and its subsidiaries. The allegations of wrongdoing pertain to loans extended by ICICI Bank to the Videocon group, which had business relations with NuPower Renewables, owned by Chanda Kochhar's husband Deepak Kochhar.